Flex Excerpt: NFL Great, Shannon Sharpe On Staying In Shape. 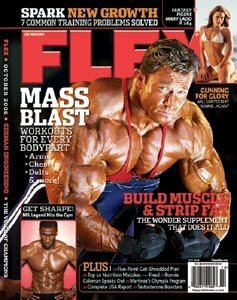 Owner of one of the best physiques ever in the NFL, former tight end and current CBS commentator Shannon Sharpe talks bodybuilding in this excerpt from the October 2006 issue of Flex Magazine. Read on for more! The following is an excerpt from the October 2006 issue of Flex Magazine. Günter Schlierkamp Makes The Front Cover! NFL great, and current commentator on CBS&apos;s "The NFL Today," Shannon Sharpe has a love other than football: bodybuilding. Here&apos;s the program, designed by IFBB Pro Rashid "Roc" Shabazz, that keeps the former tight end in top condition. "Shannon&apos;s a bodybuilder," Rashid "Roc" Shabazz tells me. "If he had competed in bodybuilding instead of football, he might be Mr. Olympia now!" Shannon Sharpe is arguably the greatest tight end to ever lace up cleats, and yet his true passion was not the gridiron; it was pumping iron. Now that his playing days are behind him, you might think he would do nothing more strenuous than swing a 7-iron or stroll to his seat on The NFL Today set. Instead, at age 38, he is pursuing his true passion with new abandon, achieving his all-time best conditioning for our photo shoot. In July, I journeyed to Atlanta, Georgia, to talk bodybuilding and football with the future NFL hall-of-famer, and to discover how Shabazz&apos;s training and diet program brought out Sharpe&apos;s sharpest shape ever. After playing wide receiver at Savannah State College (now Savannah State University), a Division 1-AA school, Sharpe was not highly touted when he was drafted by the Denver Broncos in the seventh round of the 1990 NFL Draft. With only seven receptions in his rookie season, he seemed bound for the sort of truncated pro football career that makes players joke that NFL is an acronym for "Not For Long." However, in his second year, destiny intervened when he moved from wide receiver to tight end. At 6&apos;2" and 230 lbs, he was undersized for a tight end, a position based on blocking 300-pounders and snaring catches in front of linebackers, but his height was accentuated by long arms and "good hops" (in college, he also played basketball and competed in the triple jump), the 230 pounds were virtually fat-free and he was, pound-for-pound, one of the strongest men in the NFL. Add to that the crucial truth that he had two of football&apos;s surest hands. During his 12 years with the Broncos and two with the Baltimore Ravens, Sharpe caught more receptions (815), scored more touchdowns (62) and racked up more yards (10,060) than any other tight end in NFL history. He was an eight-time Pro Bowl player and a three-time Super Bowl champion. All the while, what he loved to do most was lift weights. Athletic Performance Improvement Series™ - Football Training! I&apos;m providing information herein about what this series is, John Wilkins and football training, speed training, results, video clips, and DVD info. "I didn&apos;t really start training with weights until college," Sharpe states. "In high school, we didn&apos;t have much in the way of weights, and I was so much better than everyone else that I really didn&apos;t have to lift. Then I remember my brother going off to college and coming back, and I was like, &apos;Dang!&apos; He had changed a lot in a hurry." Shannon&apos;s older brother is Sterling Sharpe, a five-time Pro Bowl receiver with the Green Bay Packers and now, like Shannon, an NFL television analyst. "I always wanted to be like my brother. Throughout my life, I&apos;ve been following his lead," Shannon explains. 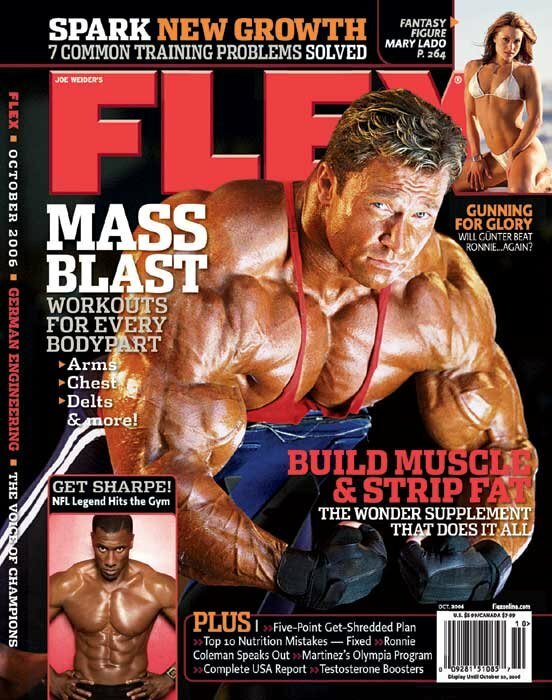 For the rest of Flex&apos;s interview with Sharpe, pick up the October 2006 issue, on newsstands September 12.